Wayne Westwood is a remarkably talented British wildlife artist whose spectacular work is fuelled by his passionate love of the outdoors and his earnest dedication to his artistic development. His remarkable technique and fine attention to detail allow him to create almost photographic work of the highest calibre. Wayne is a completely self-taught artist with no formal training. He first developed an interest in painting at the age of ten when he received The Readers Digest Book of British Birds, illustrated by the internationally renowned wildlife artist Raymond Harris Ching. From those first few pages, Wayne decided he wanted to be an artist when he grew up. At the age of 27, Wayne suffered a serious heart attack that completely changed his life. After his recovery, Wayne dedicated himself to his childhood dream of becoming an artist. All of his time and energy was poured into painting, allowing him to further develop and fine-tune his natural artistic talent. Wayne’s passionate dedication and discipline brought him to his goal, and as a full-time professional artist he quickly became a leading wildlife painter with sell-out exhibitions. Today, Wayne lives in rural Wales where he gains much of his inspiration and reference. When he is not painting, he enjoys fly fishing, photography and walking, as they too provide inspiration and a cross disciplinary approach to his work. 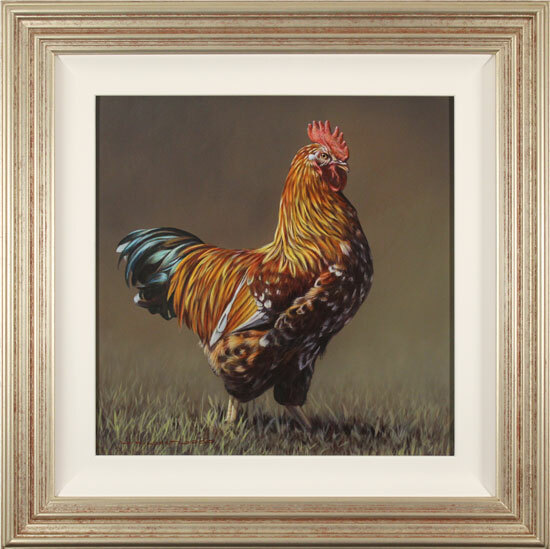 Wayne has firmly established himself amongst the leading wildlife artists of the country today. His work has been published in various wildlife and art magazines including Birds Illustrated and Countryman’s Weekly. His paintings capture the heart and soul of collectors worldwide, who treat each piece as animate additions to their collections.